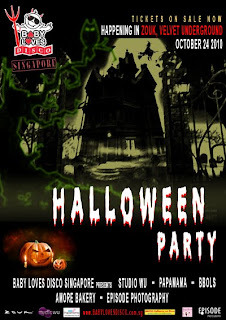 Nightclub Zouk is about to be overtaken by lots of excited youngsters who love to dress up and party. Baby Loves Disco is holding their Halloween Party at this seriously hip nightclub and the under-sevens are sure to have howling good time! With interactive Mambo dancing from Studio Wu, balloon twisting and face painting, this will be a party not to be missed. The club will be baby-proofed to provide a safe environment for youngsters and the decibels toned down for young ears. The party is recommended for ages six months- seven years but older siblings are welcome as well. Adults are not allowed in without a child, although grandparents, family members and nannies are welcome. Dress up your little darlings for the party and the best dressed will win a photography package with Episode Photography. All ticket holders will be entitled to a 15% discount at Episode Photography. Baby Loves Disco was started by professional dancer Heather Murphy in Philadelphia, USA in 2004 and has since spread across the USA, to UK, Japan, UAE and now Singapore. The launch party in Singapore in August, 2010 was a huge hit, with lots of families enjoying the disco music, magic show and bubble machine. You can check out some photos of the event here. 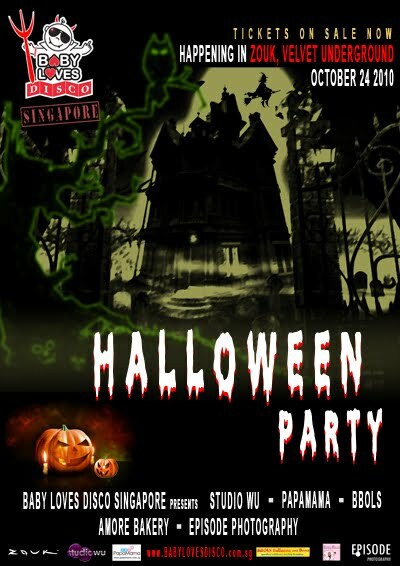 For tickets to the Halloween Party, please log in to the Baby Loves Disco website here.